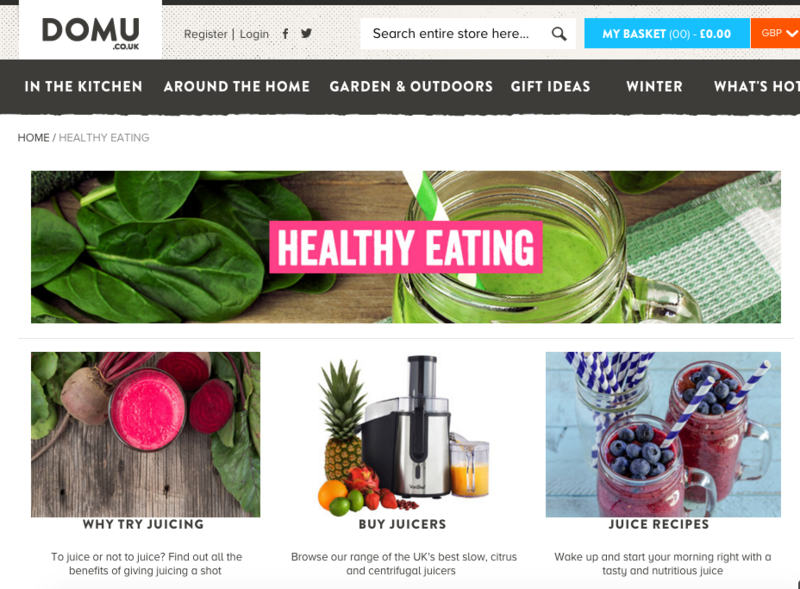 Before Christmas I was approached by Manchester-based online retailer of kitchen and homeware products, Domu. 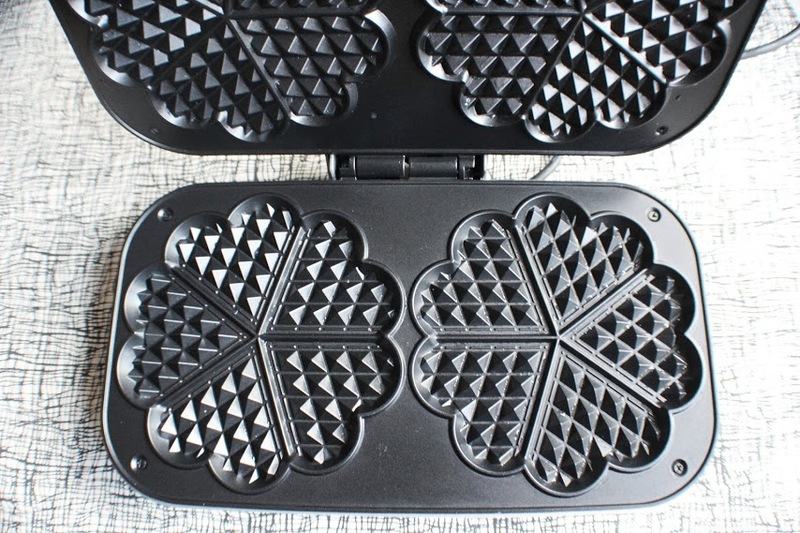 A local brand and one which appeals to my food geekiness and love for kitchen/bakeware – helloooooo! 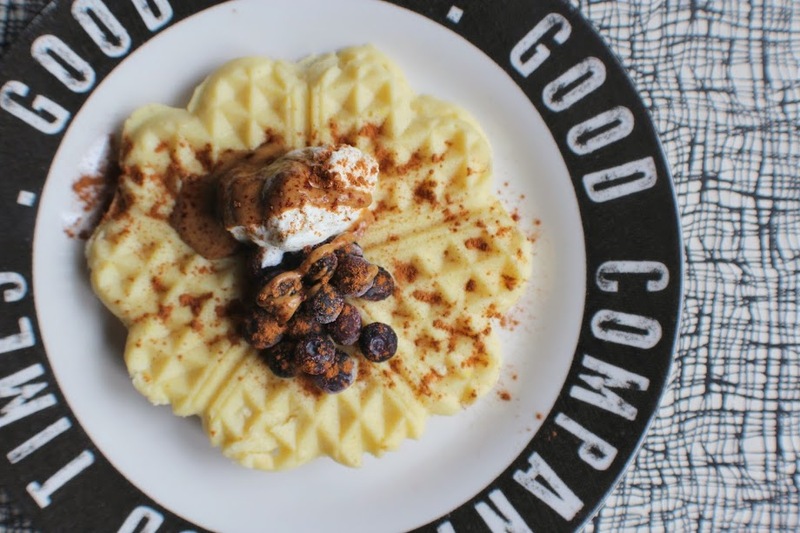 Having looked through their extensive VonShef appliance range, I was keen to try out their Double Waffle Maker after seeing so many drool-worthy Instagram posts of waffles stacks…I needed one in my life to recreate this breakfast/brunch dream for myself! In correlation with Domu’s new Health Kick Hub, packed full of healthy recipes, tips for keeping motivated, products the brand recommends and healthy living articles, this came just at the right time. As most of you guys know, I bake a HELL of a lot so baking items and utensils are a necessity; but the recipes themselves are all healthy, high in protein, low in sugar and most are gluten-free. 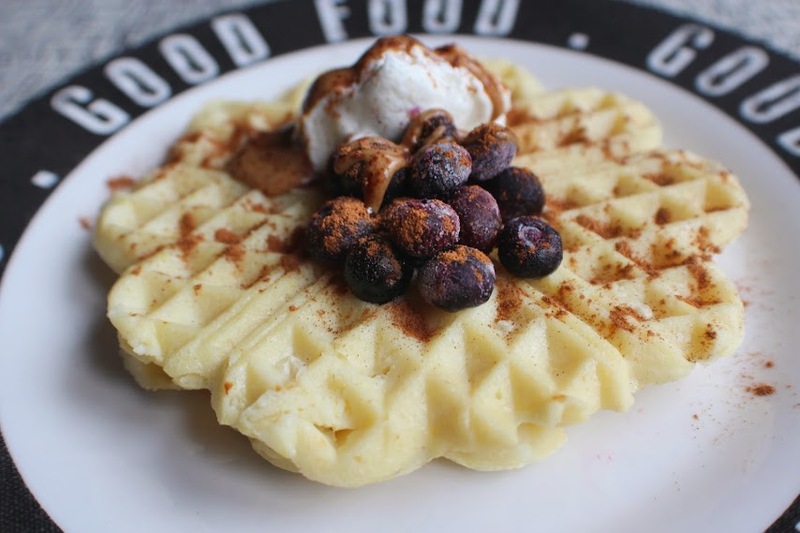 So onto waffles – who says they can’t be healthy or lower in carbs? I’ll let you into a secret. In my attempt to make healthy waffles with a high protein, gluten-free focus, it took me four attempts to finally achieve a consistency that a) worked in the waffle machine b) didn’t fall to pieces when removing it, even though it was cooked c) didn’t spill out over when pressing the lid down. I learnt that heavy batter containing apple or pumpkin puree perhaps isn’t the best suited, and to leave those to the toppings. Below is my winning mixture – once you’ve nailed that, feel free to vary the batter with things like ginger, cinnamon or mixed spice, use chocolate (or any other) flavour protein powder in place of vanilla, and top with whatever you wish. 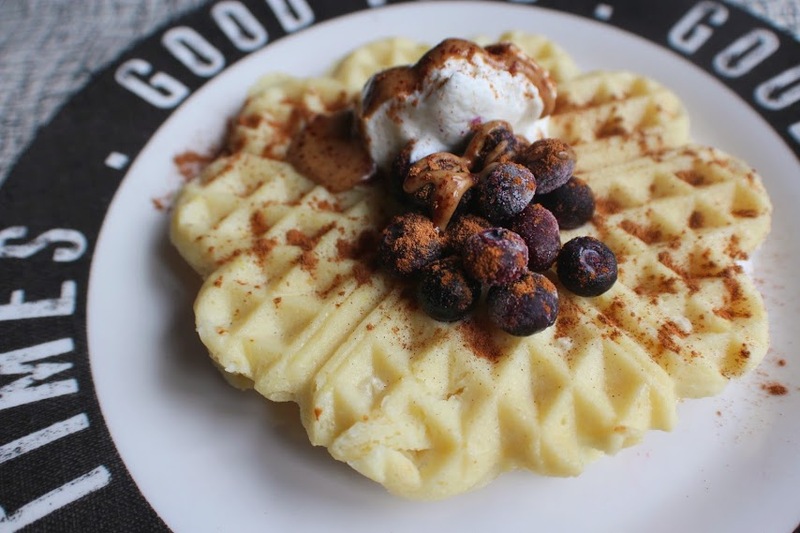 So, thanks again Domu for introducing me to the world of waffles – no doubt I’ll be checking out the site for more healthy baking inspiration in future! Place the protein powder, coconut flour and baking powder in a jug and mix well. Beat in the egg, almond milk and vanilla extract until smooth, then stand for 5 minutes. 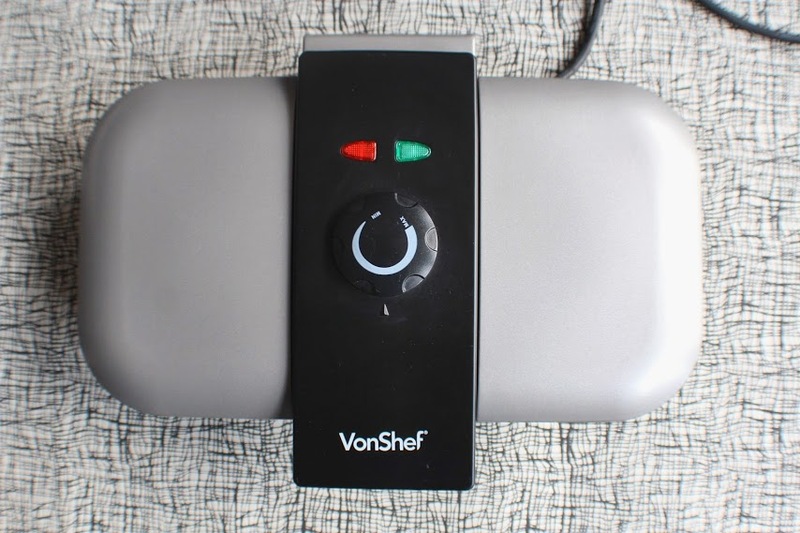 Grease your VonShef Waffle Maker well with some coconut oil and kitchen roll to make sure it covers the top and bottom. Turn it on and let it heat up for about 5 minutes. Now open up, slowly pour the batter into each one just so it covers and base and is evenly spread over. Press the top down and leave for at least 5 minutes. 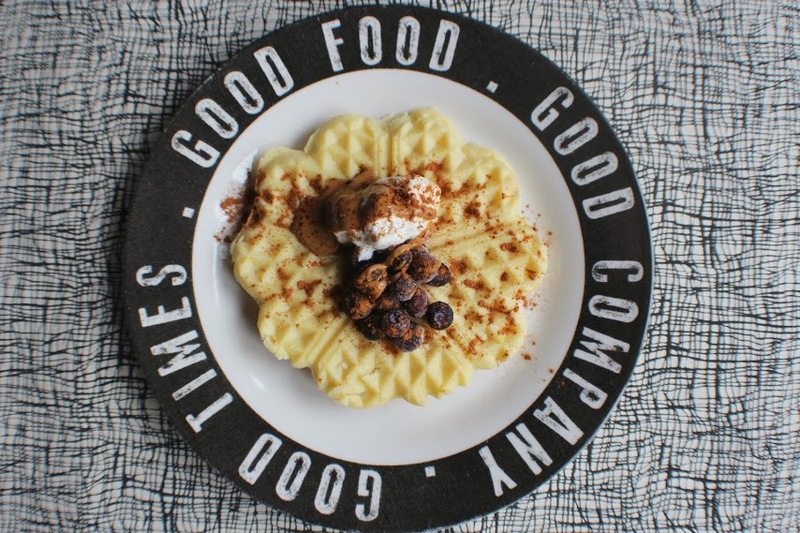 Your waffles should now be just about cooked and hopefully not sticking! Gently remove and transfer to a plate. You should be able to make about 4 in total. Now top with whatever you wish – I chose a dollop of Quark, a sprinkling of cinnamon and a scattering of blueberries on top, delicious!